Fox News has been a blight on journalism for more than two decades. Since it first began broadcasting in 1996 with the laughable motto of “fair and balanced,” the channel has been a cheerleader for the Republican party and the conservative movement. But as bad as Fox News has consistently been, it’s only gotten worse, as a new survey finds. 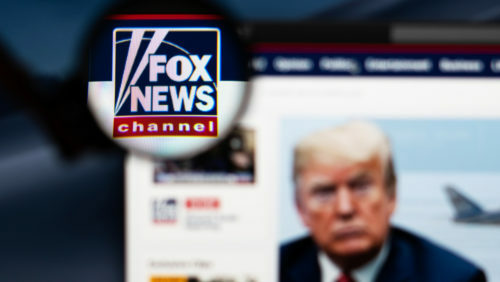 Navigator, a project launched by Democratic groups Global Strategy Group and GBA strategies, polled more than 1,000 registered voters to determine the differences in opinion between those who watch Fox News and those who don’t. The results are as dispiriting as you might imagine. Nearly 80 percent of Fox News viewers believe that President Trump has accomplished more than any other president in history, compared to 19 percent of non-Fox viewers. Seventy-seven percent worry that the Democratic party is too socialist, compared with 20 percent of Fox-free voters. Nearly nine in ten believe the mainstream media traffics in “fake news” and is out to harm Trump. The poll didn’t specifically ask about LGBTQ rights, but you probably can make a guess. Just last month, Fox News anchor Tomi Lahren said that LGBTQ people are “attacking traditional men and marriage at every turn.” The network has been a reliable platform for some of the worst bigots, like Keith Ablow and Laura Ingraham, and the network’s few feints at tolerance (like gay anchor’s Shep Smith’s occasional reality checks) can’t compete with the cauldron of prejudice that the network is brewing the rest of the time. If anything, the network is getting worse. Earlier this month, The New Yorker took a look inside Fox News and noted that it has, if anything, gotten more radical over time. The network has abandoned whatever fig leaf of “balance” it once had, serving instead as the propaganda arm of the Trump administration. Moreover, Trump’s dependency upon Fox News, combined with the network’s commitment to amplifying his craziness, creates a vicious cycle. The more Trump panders to his anti-LGBTQ base, the more Fox News will whip up fear, which Trump will in turn tweet, throwing more fuel on the fire. None of that bodes well for the way LGBTQ rights are presented on Fox News. If fear is the business model and viewers believe that Democrats are intent on tearing down the country, what does that mean for LGBTQ people? Nothing good.